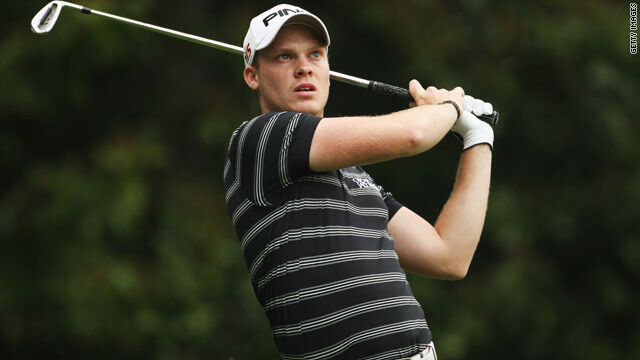 Englishman Danny Willett holds the outright lead after carding an opening round 65 in the PGA Championship at Wentworth. (CNN) -- Englishman Danny Willett carded a six-under-par round of 65 to take the lead after the first round of the European PGA Championship, at a remodelled Wentworth, on Thursday. The 22-year-old former English amateur champion carded nine birdies, mixed with three bogeys, to hold a one-stroke advantage over Australia's Richard Green. Compatriot Ross Fisher is one of four players on four-under-par while defending champion Paul Casey and world No.3 Lee Westwood both carded one-under rounds of 70. Willett, the world number 128, has yet to finish in the top three of a European Tour event, but he told the official Tour Web site: "I just need to really concentrate on what I'm doing and hopefully the door and the opportunities will come up for me. "I have changed my attitude a bit. It would be good to win but it is not a necessity this year. It will come soon if I keep playing good golf." The Ernie Els-created course has come in for a bit of controversy this week, notably the 18th hole which now has a water hazard protecting the green. And Els fell foul of his own creation when he put his second shot into the water for a final hole bogey, that left him on two-under-par. Meanwhile, Green nearly took a share of the clubhouse lead after taming the 18th. The Australian's second shot soared over the brook on the par-five hole but he proceeded to miss the 15-foot eagle putt.